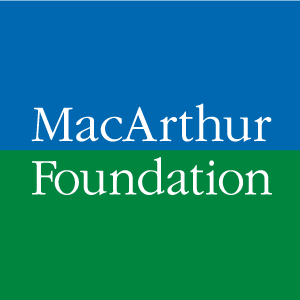 In 2005, the John D. and Catherine T. MacArthur Foundation established a grantmaking area in Digital Media & Learning. The effort is focused on understanding how digital media is changing the way young people learn, play, socialize and participate in civic life, and in helping learning institutions adapt to this change. The MacArthur Foundation founded Hive Learning Networks through the DML initiative and provided support for Hive Chicago through its participation in the Chicago Hive Fund for Connected Learning in the Chicago Community Trust and through the direct support of Mozilla and its mission. MacArthur supports research and projects that explore how digital media could be used to improve learning – both in schools and in less formal learning environments, such as libraries and after-school programs. The Foundation provides funds to the Hive Learning Network members to conceive of innovative programs and learning experiences for youth, following the principles and practices of Connected Learning and taking advantage of digital tools. The Chicago Community Trust (CCT) supports the Hive Chicago Learning Network by stewarding grant funding for the incubation of innovative youth programs through the Chicago Hive Fund for Connected Learning. CCT supports projects and activities within the Hive to enable youth and adults to experience connected learning within a network of opportunities. Eligible Hive Network member organizations can lead proposals for funding during two Request for Proposal (RFP) cycles, for grants ranging from $2,500 to $200,000 that support summer and school-year programs for youth. Partnerships on projects may include organizations outside of the Network. Projects funded by Hive Chicago demonstrate the principles of Connected Learning. Proposals can be considered for grant funding out of cycle by invitation, and at the discretion of Hive Network staff. Mozilla became the logistical steward of daily operations for Hive Chicago in 2013. Hive staff are Chicago-based employees of the Mozilla Foundation, which links Hive Chicago to a growing global community of Hive Learning Networks including the original Hive NYC. Through its Webmaker initiative, Mozilla is dedicated to teaching digital skills and web literacy, and building a web that’s open and participatory. Hive Learning Networks are a project within the global Webmaker Mentor community, which is comprised of educators, technologists and others who want to explore, tinker and create with the web, and share their knowledge with others.